Opinion Will a Prog Run for Gov? Nope. While the party failed last year to expand its five-member caucus in the 150-member House, it's made significant headway in the 30-member Senate — to which Sen. Tim Ashe (D/P-Chittenden) was elected in 2008, Pollina (P/D-Washington) in 2010 and Sen. David Zuckerman (P/D-Chittenden) in 2012. Perhaps more significantly, the party last year elected its first-ever statewide official, Auditor Doug Hoffer — albeit with the Dems' endorsement and support. Were the Progs to run a serious candidate against Shumlin, it would immediately fracture the uneasy alliance that's benefited both parties. Would it be worth it? Yeah, if they won. But the Progs simply don't have the money, infrastructure, institutional support or national party apparatus to take on an entrenched incumbent like Shumlin. Reason 2: None of their top-tier candidates will run. The party's elected officials have worked hard to get where they are — and it's really difficult to imagine any of them sacrificing their current jobs for an uphill fight against Shumlin. Pollina, who edged out Symington in 2008 to come in second, told Hallenbeck he's not interested. Hoffer has said again and again he desires nothing more than to be state auditor — and that's easy to believe. Zuckerman, who perennially floats his name for lieutenant governor or Congress, is too busy slaughtering pigs and munching on kale. And Rep. Chris Pearson (P-Burlington), who leads the House Progressive Caucus, appears to relish that role — and would be loathe to lose his seat. Former Democratic and Progressive lieutenant gubernatorial candidate Cassandra Gekas is scheduled to be a panelist in Saturday's strategy session, but there's no way she'd run for the top job. After all, she works in the Shumlin administration and was recruited to run for LG by the gov's own campaign manager at the time, Alex MacLean, and former Vermont Democratic Party chairman Jake Perkinson. That leaves Ashe, who quite clearly harbors statewide ambitions (though I've never actually heard him say it). But Ashe is as cautious as they get — and hardly a Progressive firebrand. The first to run as a hybrid Dem/Prog, he's gone out of his way to court moderate Democratic allies in the Senate. My best guess is that he'll wait to run for a statewide seat opened up by a retirement at the top of the state's political pecking order, in 2016 or 2018. So yeah, sure. 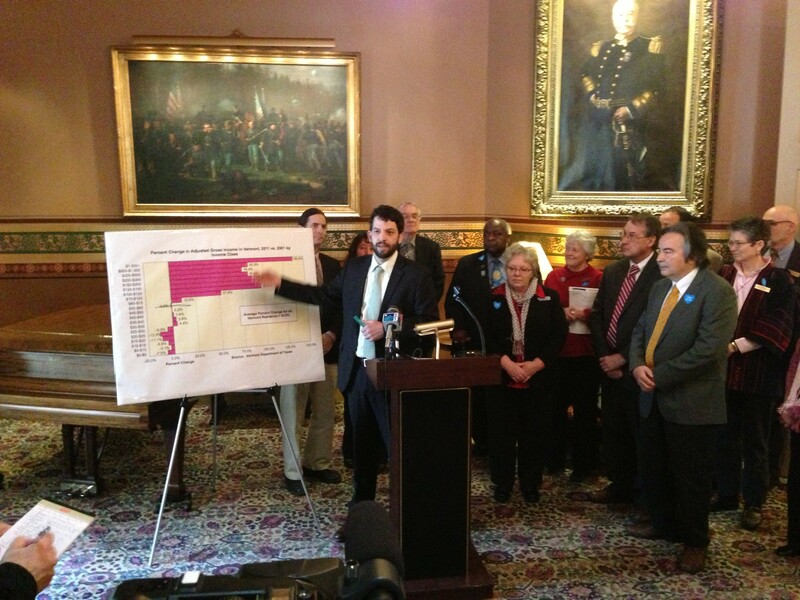 Progressives were plenty pissed about Shumlin's right-of-center rhetoric last legislative session. They were downright apoplectic over his proposed cuts to the social safety net. And they surely enjoyed a bit of schadenfreude over Shumlin's real estate struggles this summer. But run a serious candidate against him? I highly doubt it. Which is funny, because if ever there was a moment when Progressives could convincingly make the argument that the Democratic standard bearer doesn't share their values, this is that moment. Then again, even in capital-P Progressive politics, sometimes pragmatism trumps idealism.